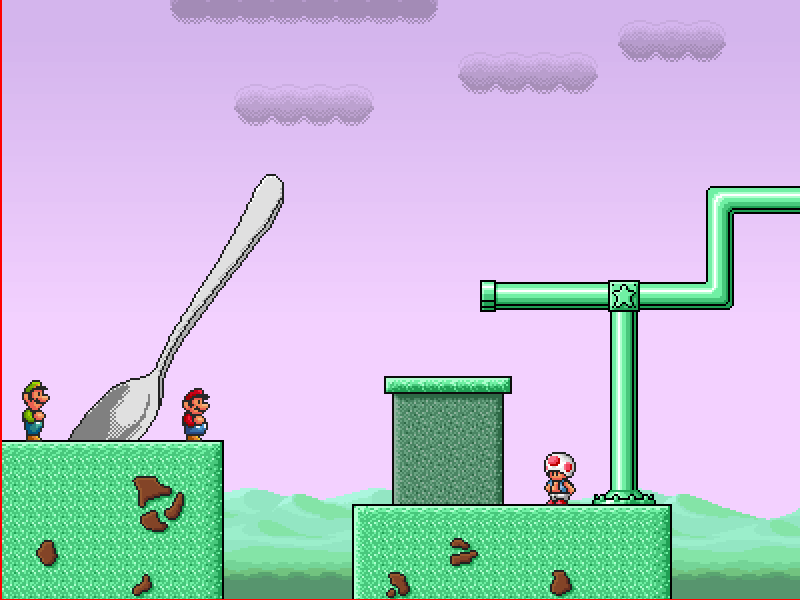 Topic: Spicy Mario Bros. [1.4.4] Demo 1 available! Now with Discord! Yeah, both are pretty nice. Taycamgame wrote: What is wrong with the links at the bottom of the first post? Hi, is there a way in Version 1.4.4 to stop an event from happening when it already started? For example if there is a event that is going to hurt you in 10 seconds or so. Is there a way to prevent the event from being triggered? Does anyone have the "SMB3 Giant NPC Pack" from Sednaiur? Topic: SMB Deluxe World Map (V2.1!) NEW STUFF! Re: SMB Deluxe World Map (V2.1!) NEW STUFF! I love this GFX Pack I especially like the SMW Graphics Great job! BlueShell wrote: I have one little question. How did you stack the different enemies ?